Using a time machine of his own making, a man travels to the year 802,701 to discover a world where humans have diverged into two separate species. The first species he meets are the Eloi. They are an indulgent people living in what the time traveler calls a communist society. It appears to be a utopian society in which everyone shares living spaces and food. But our time traveler soon discovers that this society isn’t as perfect as it seems. The Eloi are an uncaring race. When one of their own is drowning, they glance uncaringly in her direction and then move on with their own entertainments as if such an event were normal and uninteresting. There is a complete decline of intellect. Soon enough, our time traveler meets a second brutish and cunning race that live underground. They are called the Morlocks. (How he discovers this is unclear, since the Morlocks don’t talk to him and the Eloi refuse to talk about them as if it is extremely rude even to bring them up.) He has very little contact with them, but he believes that the Morlocks eat the Eloi. At a loss for what exactly H. G. Wells was getting at when he wrote this book, I read a couple of critical essays. Critics say that H. G Wells 1) was suggesting that there would be an inevitable decline in intellect of the human race, 2) was parodying the indulgent and uncaring aristocracy and the brutishness of the working class – a common parody of his time, and 3) was parodying communism despite the fact that he, himself, was a socialist. 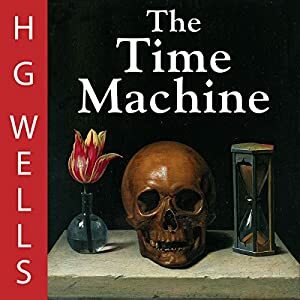 My father suggested that H. G. Wells had the Nazis (Morlocks) and the Jews (Eloi) in mind when he wrote The Time Traveler – though I find it hard to believe that the Wells believed that the Jews were a self-indulgent and unintellectual race. What I noticed about both The Time Machine and The War of the Worlds is that both mentioned a subclass of humans who, in the future, would prey upon other humans. (In War of the Worlds it was suggested that humans might, in the future, be used as slaves to hunt humans so the alien race could eat them.) Thus I am inclined to believe that H. G. Wells is suggesting that some humans have a brutish quality in which they inevitably take advantage of and prey upon an untintellectual and uncaring group of people. I am also interested in this communist aspect. What was he saying? If you have any ideas, please let me know. I am curious what other people think of this story. It has been a long time since I read this. Though I remember it I do not think that I remember it enough to intelligently answer your question. On thing that I remember about this novel was how poignant it was. If I recall it was the most tragic of all the H.G. Wells books that I have read. Much like Brian, I read this much too long ago to remember enough about it to comment intelligently about it. The consensus on my LibraryThing thread is that it was about class distinctions. You're right about it being poignant, which is why I spent time mulling over what he was saying. Funny thing is, everyone who's commented to me (in various places) has said that they read it too long ago. I guess this is really a teen book. I read it as a teen, too. I also read as a teen – and apart from knowing that I enjoyed it I don't think I could give you a sensible idea as to what he was really getting at. Perhaps he was simply thinking that whether you go back or forwards the grass isn't really any greener. He moved forward into what seemed like a utopia – but it was far from it. The Eloi and the Morlocks make me think of Watership Down – (another teenage book) – but in which there's a chapter where the rabbits from a particular rabbit warren no longer have to search for food, they're fed regularly by the farmer – but every now and again a couple of them disappear – presumably to go into the pot! And they've settled for this existence knowing that every once in awhile a couple of them will mysteriously go missing so long as they have this perceived 'perfect' existence. The Lloi are similar really – they could stand up for themselves but they've become so complacent and reliant that they're almost childlike. I loved Watership Down, but I read it so long ago that I'd forgotten about that Utopian society until you mentioned in. In fact, I remembered some creepy rabbits, but couldn't remember why they were creepy.